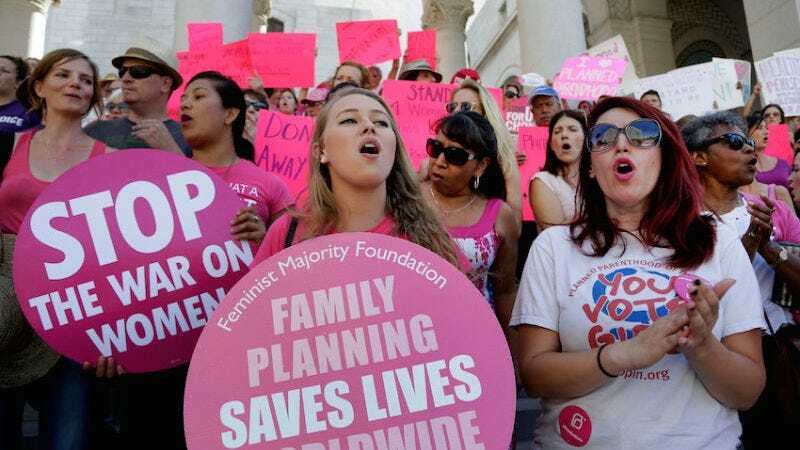 On Thursday, the Republican Governor of Maryland, Larry Hogan, allowed a bill to become law (he didn’t sign it, but didn’t veto it either) that will reimburse Planned Parenthood clinics for the healthcare services they provide, should Congress choose to defund the organization. The bill is the first of its kind. According to CBS news, the new protection would preserve access to preventative care services for 25,000 people. If the measure needs to be used, $2 million from Maryland’s Medicaid budget and $700,000 from its general fund will be directed toward the services Planned Parenthood provides. Karen Nelson, president of the Maryland branch of Planned Parenthood told the Maryland Assembly on Thursday that it did, “what is necessary,” by passing the bill. Several other states have taken steps to safeguard reproductive health services in response to the election of Donald Trump. CBS notes that lawmakers in Nevada are trying to pass bills that enable women to access 12-month birth control supplies. New York Governor Andrew Cuomo announced in January that he would expand reproductive right protections for New Yorkers, requiring health insurers to cover medically necessary abortions and most forms of birth control, for instance.